Distinguished by its additional elements complementing the Parentheses, this timepiece makes rooms for further color combinations. Screws of two different sizes which are luxuriously ornamented with ruby, sapphire, emerald or simply diamond, hold the various elements of the case in perfect harmony with the watch. The in house conceived screwdriver offered by Tellus is designed to tighten or loosen the screws, change the parentheses or other elements of the watch without damaging them. For this chronograph timepiece – a subsequent development of the Parenthèses collection, our designers developed pushers which are built in the screws holding the brackets to the case. 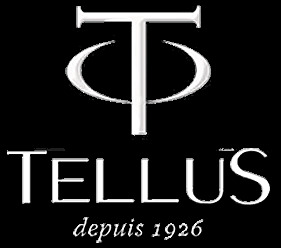 Tellus offers an in house designed screwdriver to tighten or untighten these pusher/screws.